Continuous manufacturing is a relatively new concept within the industry and Pfizer is making sure it's trailblazing the process with its new Freiburg facility. 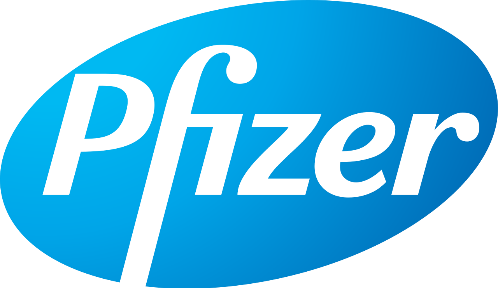 Pfizer was founded by cousins Charles Pfizer and Charles F. Erhart in New York City in 1849. The company began as a simple manufacturer of chemical agents, making a name for itself with its citric acid supplement, but established itself as a research-based pharmaceutical company when it discovered oxytetracycline (brand name: Terramycin) in 1950. The company was able to supply the military with penicillin during World War II thanks to its expertise in fermentation technology. Pfizer also established an animal health division in 1959. Today, Pfizer is one of the largest suppliers of pharmaceuticals in the world and employs over 96,000 people. The company has revenues of $52,824 ($M) and sits at #54 on the Fortune 500. Continuous manufacturing technology lies at the core of the modern production facility. Continuous manufacturing allows for individual steps in the manufacturing process - such as delivery of raw materials or shipment of the finished product - to be added into the process without disturbing production. 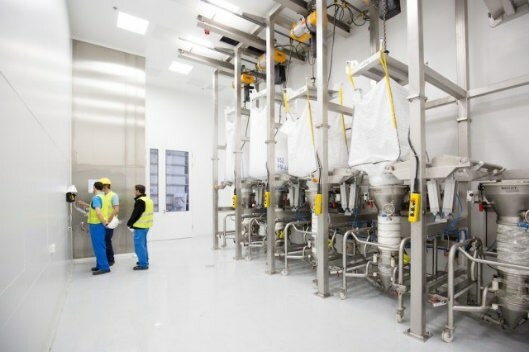 Progress in continuous manufacturing is presently being made with the establishment of a distinct regulatory group, spinning out of the Centre for Structured Organic Particulate Systems (C-SOPS), which involves volunteers from 16 different companies, in partnership with the Federal Drug Administration (FDA), contributing to a best practice guide for the process of continuous solid-dosage drug manufacturing. "Given these emerging variations, the FDA's goal is to provide a framework of principles that clarify our expectations, while still encouraging companies to innovate and implement continuous manufacturing," said Michael Kopcha, PhD, RPh, the FDA's Director of the Office of Pharmaceutical Quality at the Centre for Drug Evaluation and Research (CDER). "We are talking with the industry and are also helping lead this conversation on a global level by engaging our foreign regulatory counterparts regarding the development of clear regulatory standards." With continuous manufacturing becoming such an established philosophy in the drug production industry, Pfizer wanted to open a 100% continuous manufacturing facility. With the new plant in Freiburg, Pfizer is taking its first steps into continuous manufacturing and will add to the company's reputation as a leader of technology in the manufacture of pharmaceuticals. The process is made possible by a proprietary Pfizer technology dubbed continuous mixing. With the new technology, a specially designed mixing unit can blend active ingredients into a homogenous compound with no interruption. The new process saves time and money, and reduces the possibility for error. Ingredients can be taken out for testing at any stage of the process, without shutting it down, allowing for greater levels of quality control than ever before. "In close cooperation with regional universities and industrial enterprises, we have developed and established the world's first continuous manufacturing technology facility in the pharmaceutical industry," said Peter Albiez, Chief Executive Officer of Pfizer Deutschland GmbH. "This step into continuous manufacturing according to industry 4.0 standards has made Pfizer Deutschland and the Freiburg Pfizer site technology leaders in pharmaceuticals manufacturing." With the establishment of the new site and the ongoing progress in the regulatory development of continuous manufacturing, it seems likely we'll be hearing a lot more about the process in years to come. The FDA is continuing to solicit feedback on calls for the industry to adopt the technology, so expect to see more sites such as the Freiburg factory soon. As one of the world's largest pharmaceutical manufacturers, it makes sense that Pfizer should be in the vanguard of continuous manufacturing. With the company's impressive resources pushing the technology forwards, continuous manufacturing is likely here to stay. The final word goes to Phil Nixon, of Pfizer's Pharmaceutical Sciences Technology and Innovation Group. "We've taken the concept further, to make it something that can be readily deployed in a portable manner -- we're trying to miniaturize it, make it more modular. Ultimately, the aim is to achieve adaptability and flexibility. By itself, continuous manufacturing gives us variable batch size. In today's world, a lot of products are now produced in smaller volume. We need to be able to change over faster, not only for emerging markets, but to be able to get new technology out there faster with new capabilities." Stephen Kern, Director of Global Business Intelligence at PFIZER is part of our advisory board, and helped shape the agenda for the upcoming Connected Manufacturing Forum happening this June in St Louis, Missouri.